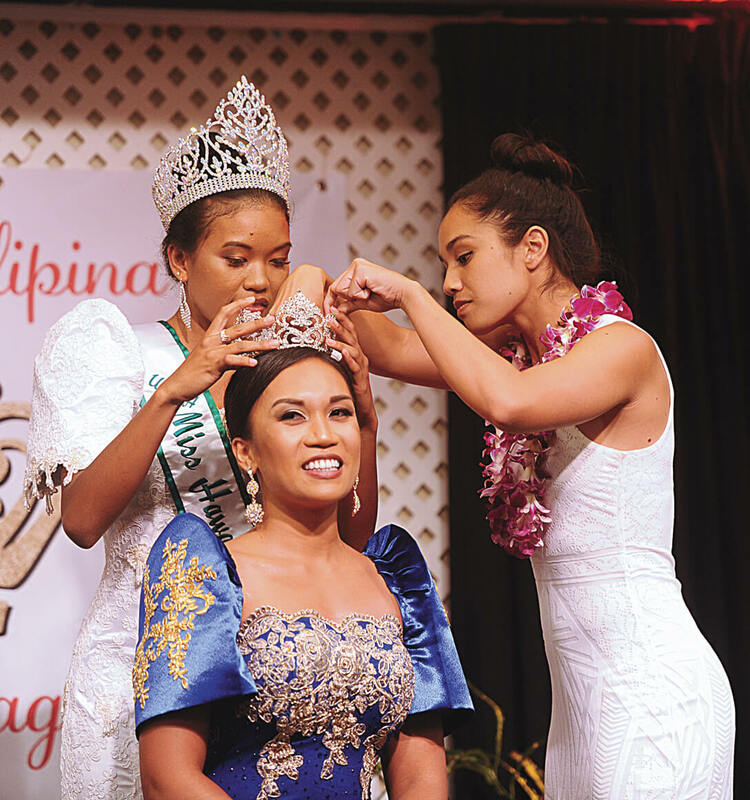 Gabrielle Gutierrez was crowned the new 2017 Miss Maui Filipina by the 2017 Miss Hawai’i Filipina, Kimberly Yap, and the 2016 Miss Hawai’i Filipina, Amelia Laborte. 2017 Miss Hawai’i Filipina Kimberly Yap performed a Marshallese folk dance at the New 2017 Miss Maui Filipina coronation ceremony. Dance International Production relaxing in Honolulu before a competition. 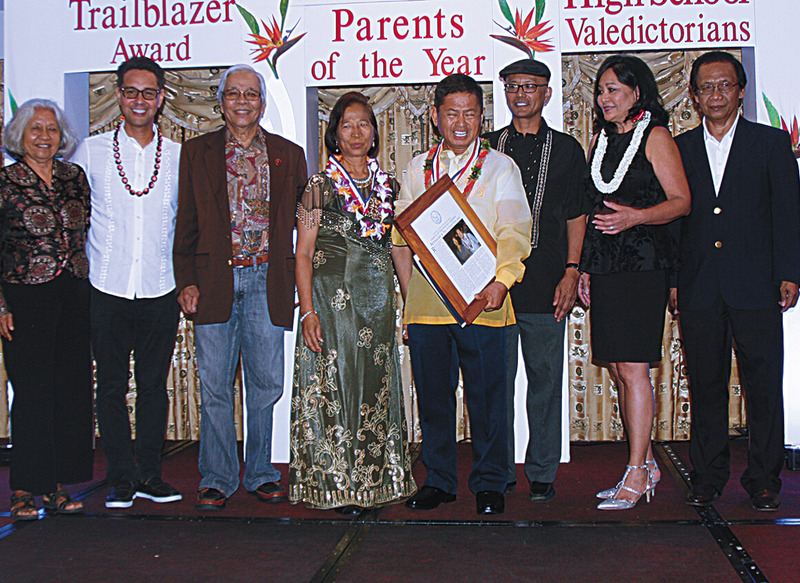 Reynaldo and Felicitas Golino were honored as one of the nominees for the Parents of the Year by the Philippine Cultural Foundation of Hawai‘i in Honolulu. 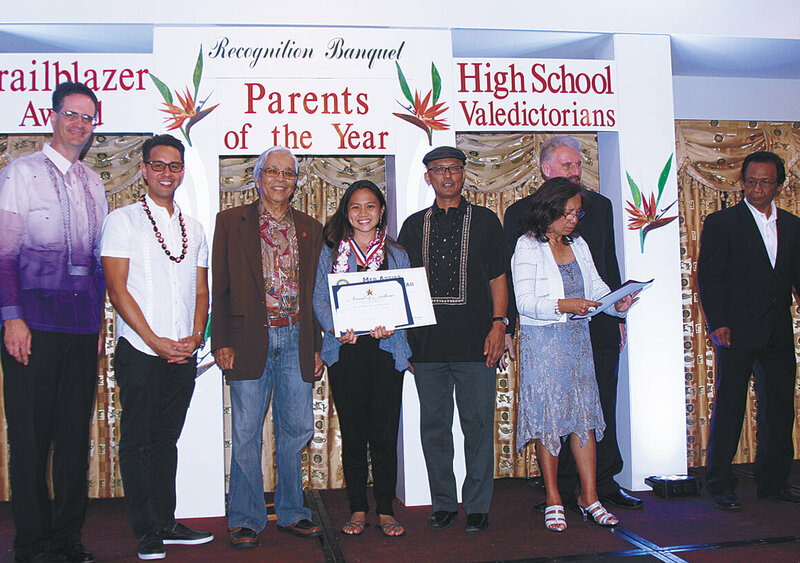 Sheena Garo, one of Maui High School’s valedictorians, honored at the Philippine Cultural Foundation of Hawai‘i event in Honolulu. 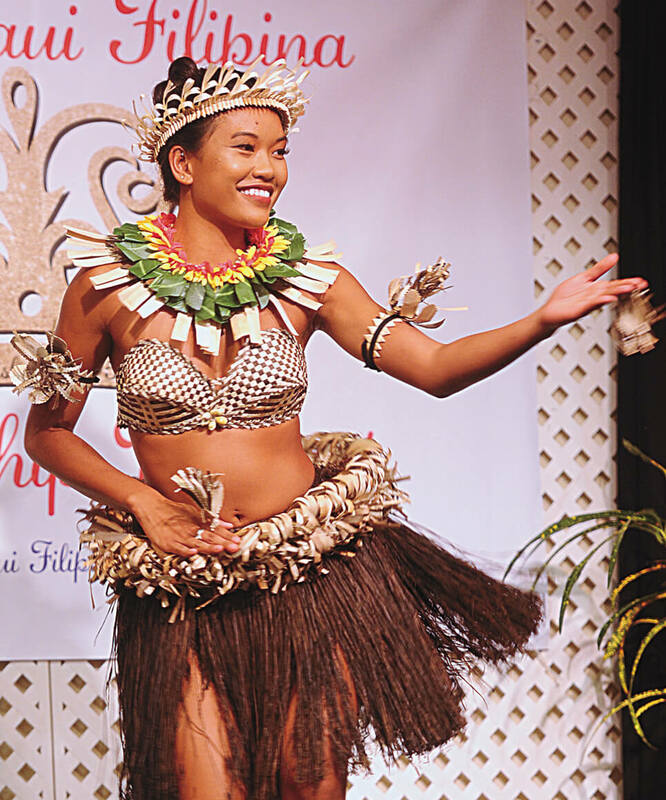 Major Reinalyn Golino, former Miss Barrio Fiesta, danced for her parents at the Philippine Cultural Foundation of Hawai‘i event in Honolulu. The Bahay Kubo Heritage Foundation featured 13 chefs who made tapas at the Aug. 19 event, held at U.H. Maui College’s Pā‘ina hall. 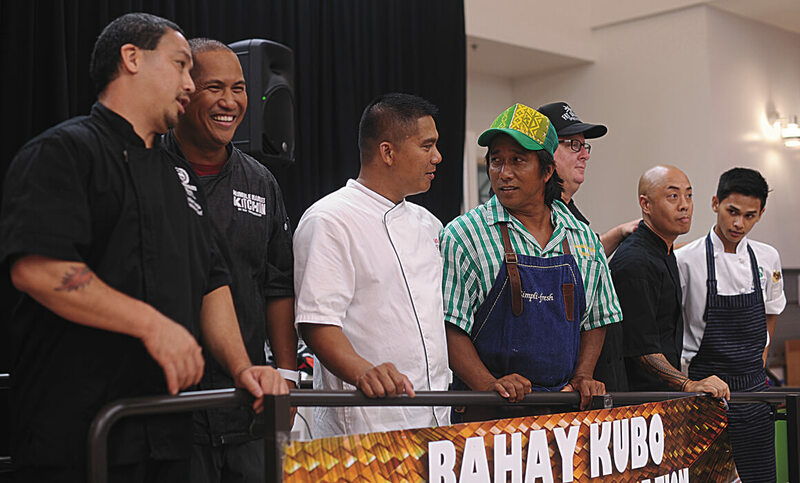 Shown here lining up are, from left to right, Chefs Lyndon Honda, Charles Andres, Larry Badua, James Simpliciano, Chris Schobel, Jojo Vasquez, and student Motley Adovas. 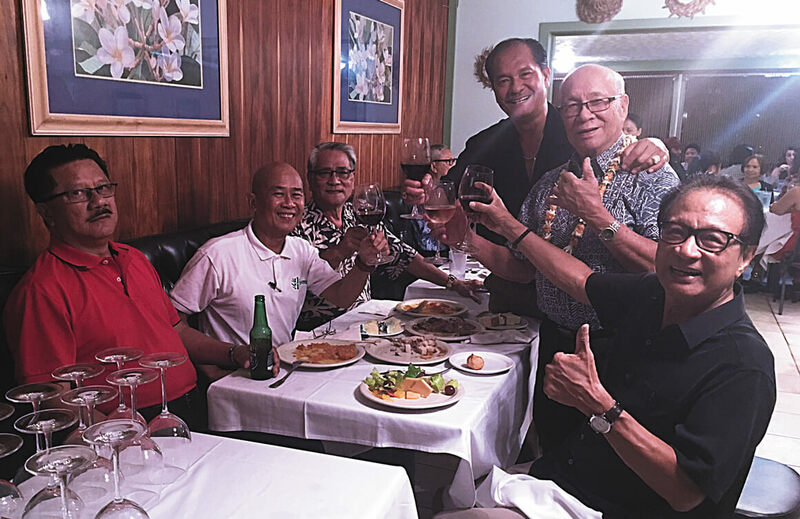 All cheers to the birthday boy, Bart Santiago, whose celebration was held at Tante’s Island Cuisine, Sat., August 28. 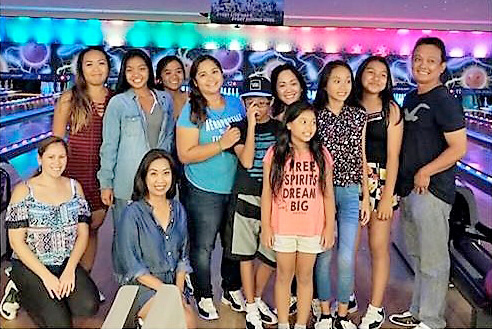 Santiago’s family and close friends from the Maui Filipino Community Council who were in attendance were in jovial spirits indeed.